Viewpoint: Media ‘Nursing’: Retiring the Handmaiden: What viewers see on ER affects our profession. Welcome to NBC's ER, a program that reaches millions of viewers. To be fair, the show deserves credit for innovative depiction of medical issues and competent nurses who counter some stereotypes. Unfortunately, that's not enough. A recent study found that a third of viewers consider what they see on ER when making health care decisions. Another found that youths' strongest impressions of nursing came from watching ER; they considered nursing "a girl's job," a technical career "like shop," too lowly for private-school students. The media affect peoples thinking, which in turn influences their actions. 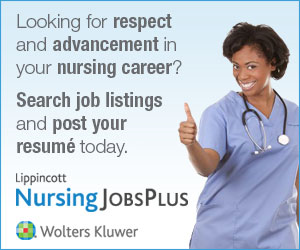 When career seekers undervalue nursing, they choose other professions. When health facility decision makers undervalue nurses, short-staffing is encouraged, which increases patient mortality and drives nurses from the profession. When Congress undervalues nursing, it allots nursing research only $1 out of every $200 in the National Institutes of Health budget. Though difficulties with nursing's media image are not new, the current crisis has made the problem urgent. There have been a few positive portrayals of nursing, such as the 2000 Discovery Health Channel documentary Nurses, and recent columns by Ronnie Polaneczky in the Philadelphia Daily News. But the handmaiden stereotype remains a media staple, dominating the inaccurate, physician-centric shows on TV and in print. The October 9, 2003, ER episode epitomizes the nursing image problems. The ED's chief physician fires nurses for abandoning patients to protest hospital plans to cut senior nurses' hours and benefits then hire cheaper travelers and graduates who'll work for "minimum wage." Abby Lockhart, the show's only principal nurse character, works at triage and defibrillates a patient-to our knowledge the first time ER has shown a nurse performing these common nursing tasks. But triage is a comic assembly line, and Lockhart's jarring, sedative-free defibrillation of a conscious patient makes her look vindictive. She has no response to remarks by a physician to the effect that their young patient belongs to the physician, who can, in deference to the parents' wishes, forbid her to speak to the patient about her condition. And when schoolchildren are asked whether they would consider nursing careers, they're silent- but express joy at the thought of becoming physicians. Two years ago, the Center for Nursing Advocacy began a dialogue with ER 's producers. Despite a few stabs at improvement, including the recent introduction of a stronger principal nurse character, nurses remain as peripheral subordinates. Recently, Lockhart has returned to medical school-even though recent data suggest that nurses are 50 times more likely to attend graduate school in nursing. The Center for Nursing Advocacy urges nurses to join our campaign to persuade the producers of ER to depict nursing accurately. Currently, ER lacks nursing script advisers. Inaccurate accounts of nursing also appear widely in other broadcast and print media, and those responsible should be held accountable. Please contact them and their sponsors, and let them know that the perpetuation of these images damages our profession (go to http://www.nursingadvocacy.org and click on "Campaigns"). And talk to your families and friends. Help everyone understand what nurses do. Abby Lockhart can't do it without you.